James and Dan, two members of the CBRE Battersea and Nine Elms office, have recently excelled on the sports field as part of winning CBRE teams. Demonstrating their sporting prowess, two members of our team recently took part in key property industry sporting events, the Property Football Cup and National Surveyors Rugby 7s. Dan played in the Property Cup 2017 at Queens Park Rangers stadium, near the new White City development CBRE are selling. CBRE successfully won their group winning two and drawing one match. In the semi-finals CBRE dispatched the opposition with an emphatic 2-0 win. The final was a tense affair with CBRE taking a 1-0 score into half time. After some resolute defending and some extremely tired legs they were able to hold on to the victory and win the trophy for the first time! 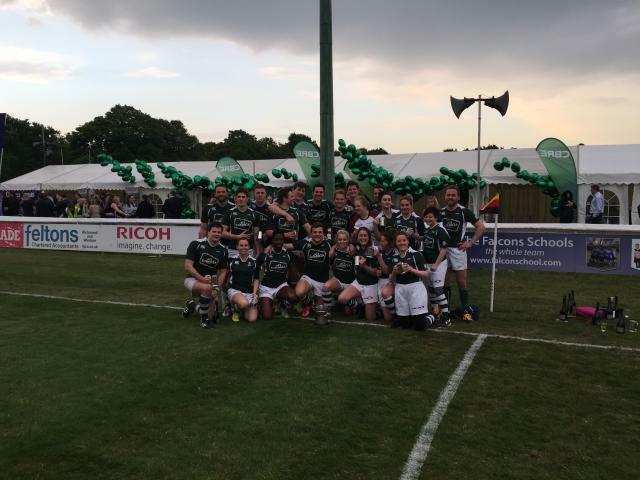 James played for the CBRE Rugby 7s team at the National Surveyors Sevens Tournament in Richmond. The CBRE team progressed without loss in their group stages but unfortunately lost 14 – 10 in the final. The team have sworn to go one better next year and bring the trophy home. Keeping match fit has been excellent training for Dan and James; as their busy summer months approach they will be running around Battersea and Nine Elms on viewings, rather than on the pitch!